It is a fact that people of this new generation place huge importance on taking care of their health, in terms of both diet and exercise aimed at helping the body stay fit and strong. Sport and exercise come in many forms, with some exercise trends currently blowing up in popularity, such as football, running, fitness programs and cycling, all of which result in a stronger body. However, these sports and exercise programs also come with the risk of injury or accident. 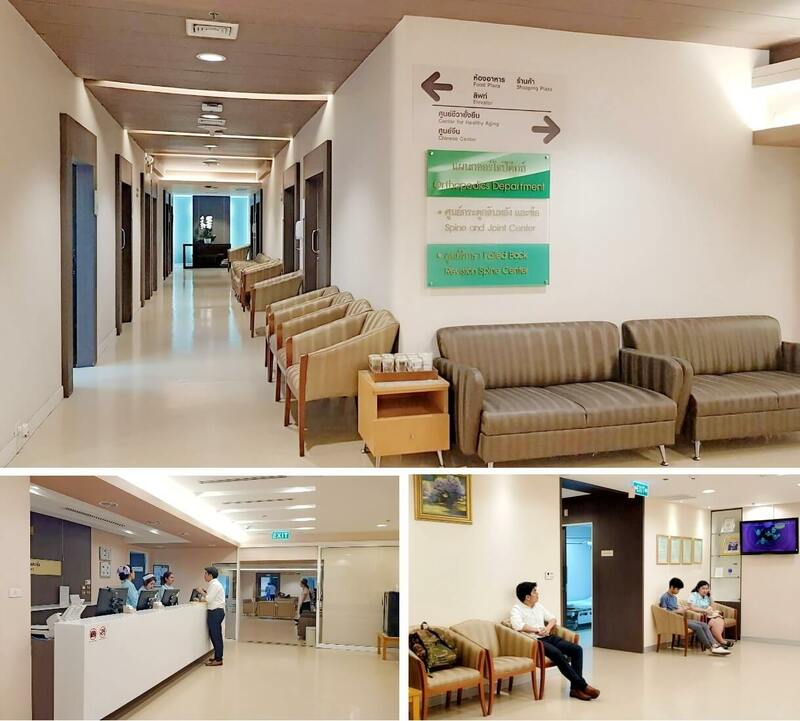 Recognizing the importance of this issue, Samitivej Srinakarin Hospital has established the Arthroscopic Surgery and Sports Orthopedic Center to prepare patients appropriately for any sports they wish to play. The center is also equipped to care for and treat patients with sport-related injuries. The center helps them to rehabilitate fully so that they can make a return to full fitness as soon as possible. All diagnoses and treatments are carried out to the highest standards by our team of specialists in the field. The Arthroscopic Surgery and Sports Orthopedic Center consists of an experienced team of medical professionals, specialized in all aspects of orthopedic surgeons, physical therapists and sports medicine doctors. These experts help rehabilitate the body, bones and joints to full fitness, so that all of our patients can enjoy the confidence that they are receiving the best treatments available and are able to return to their normal daily lives as quickly as possible. We offer advice on injuries sustained through sport, exercise and even work. We provide treatments and care for ligament inflammation, muscle and ligament tears, twisted joints, joint sprains, dislocated joints, tendinitis and broken or fractured bones, all of which are carried out using individually-tailored treatments and techniques that ensure each patient is able to recover as fast as possible. We offer treatments according to the type of sport injury sustained, including orally administered medication, injections, brace, splint, physical therapy and arthroscopic surgery for hands, knees, shoulders, elbows, ankles and hips. Advice is available on how to treat and care for any joint-related issues, such as joint surface damage, tendon damage, ligament damage, ligament tears or peripheral joint nerve damage. These types of injuries can have numerous causes, including sport- or non-sport-related accidents. For example, they can result from osteoarthritis of the joint ligaments, tendons or muscles, as well as some types of bone fractures that are attributable to overuse through sport, such as fatigue fractures. The available treatment covers injuries to all types of joints in the body, including the elbow, knee, shoulder, ankle and wrist. Orthopedic surgeon and expert in the field of arthroscopic knee, elbow, shoulder and sports orthopedic surgery. Assistant Professor Pisit Lertwanich, M.D.